Joe Gutowski recently had the opportunity this past November to present his research project at the VAHPERD convention. Joe was asked by Dr. Michael Maina if he would be interested in presenting his project that stemmed from a Team Sports activity class that Joe took with Dr. Julie Maina. Our assignment was to present and teach a “team sport” activity to our class. A few other Health and Physical Education majors and myself decided to present a non-traditional team sport…We were brainstorming ideas and curling, a well known sport during the winter Olympics, was brought up. After researching the sport and its history, we became really interested in how to incorporate this activity into a physical education class. After our initial idea, the lesson and presentation had to be modified several times before we had our final product to be presented. When presenting research with a professor, you develop a bond with them outside of the classroom and get to know them on a personal level. Dr. Michael and Julie Maina guided us in the right direction with our presentation and facilitated our research, while still being available for any questions or assistance we needed. Presenting research is a very unique experience, especially at VAHPERD. VAHPERD generally consists of professors from Virginia Colleges and Universities, as well as Health and Physical Education teachers. Because of this, I was one of the few, if not the only undergraduate presenter. I was very happy at the turnout of our presentation though. It was a great experience to have professionals coming up to me and asking questions and my opinion on areas or modifications. These experiences serve as evidence and demonstrate to myself and my advisor that I am prepared to be an educational professional. 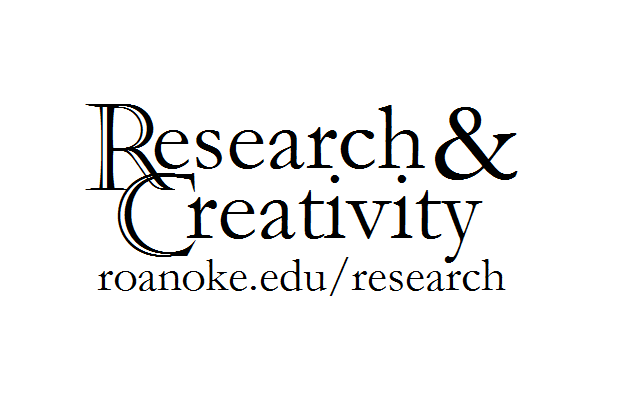 Joe feels that students should be encouraged to present research while at Roanoke. Not only does it strengthen academic skills in ones content area but it also helps develop confidence in your field of study and public speaking abilities. I am fortunate for the opportunities I have had to present while at Roanoke and am grateful that Dr. Michael and Julie Maina presented research opportunities to me and pushed me in the direction to present research.